Monday Bunday – Goodbye Ike! Hello Fur friends! We were having some furry hot weather here up until today. 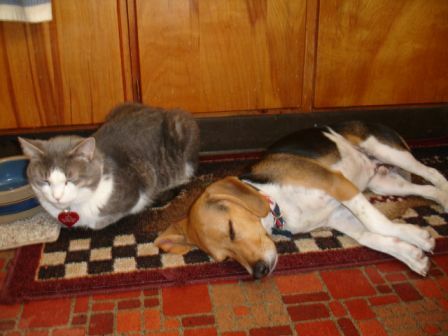 The heat was making Felix and Baxter Barker furry sleepy. But then something named IKE that the humans have been talking about all week came along last night and brought cool air into the warren. AND knocked down alot of trees and left thousands of humans without power here in Northeast Ohio. Oh, and he also bent Mom’s new storm door. 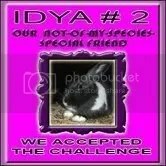 Poor Bunnygirl and Cadbury had IKE first. Then I think my warren was his furry last stop! Hrmmph, he needs to leave me and my Bun friends alone!